3-Bell, solid wood made of Walnut, agogo with mallet 10" x 6.5". 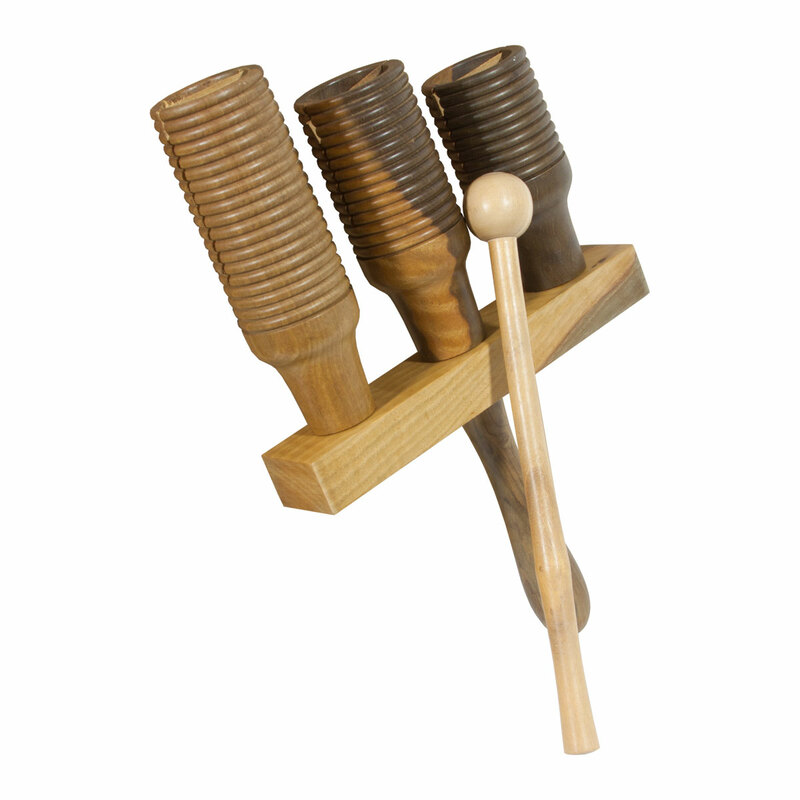 This solid wooden agogo has a three hollow bells of graduated sizes. The different sizes, provide three different tones. The outside of the bells are grooved to create a playing surface. By tapping and scrapping you can produce multiple sounds using the wooden mallet (included).